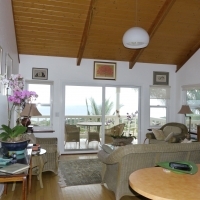 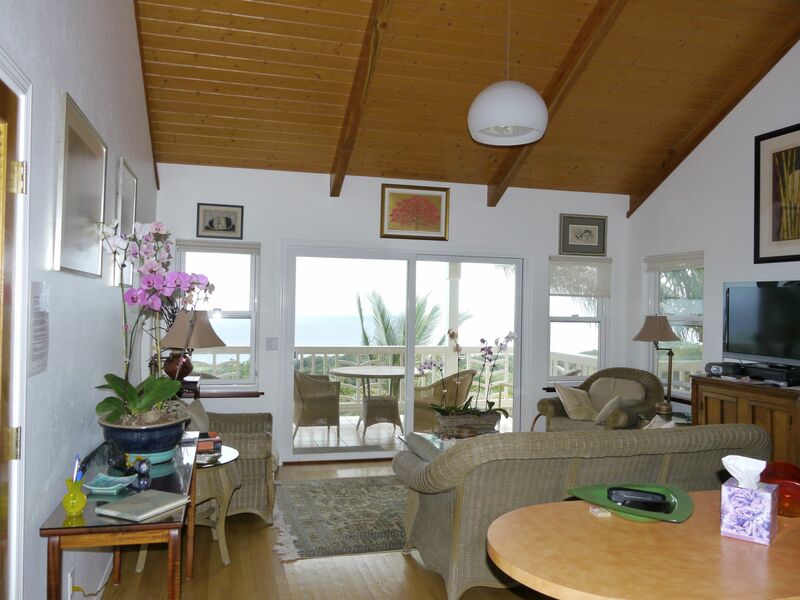 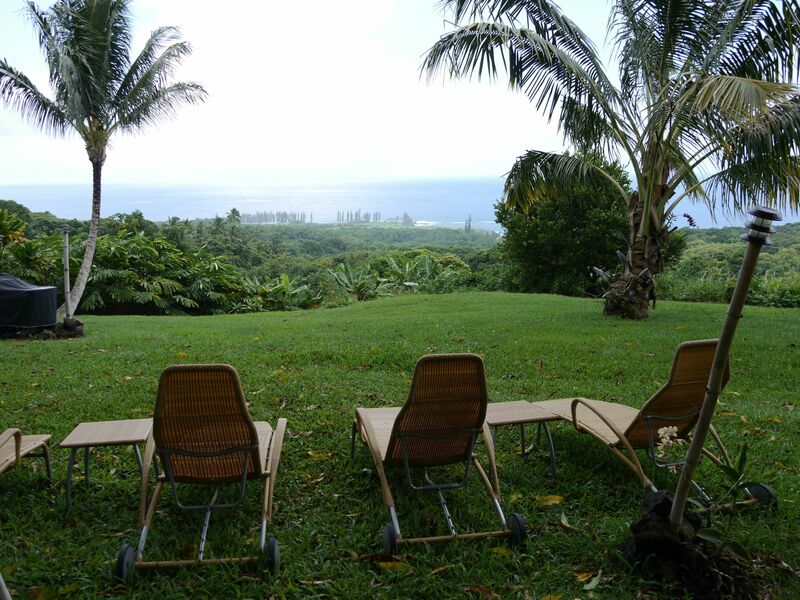 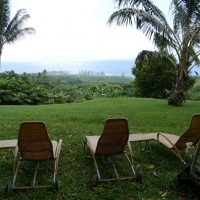 At Hana’s Heaven you can enjoy gentle breezes, a comfortable living space and an absolutely stunning and unobstructed view of the ocean and pristine coastline. 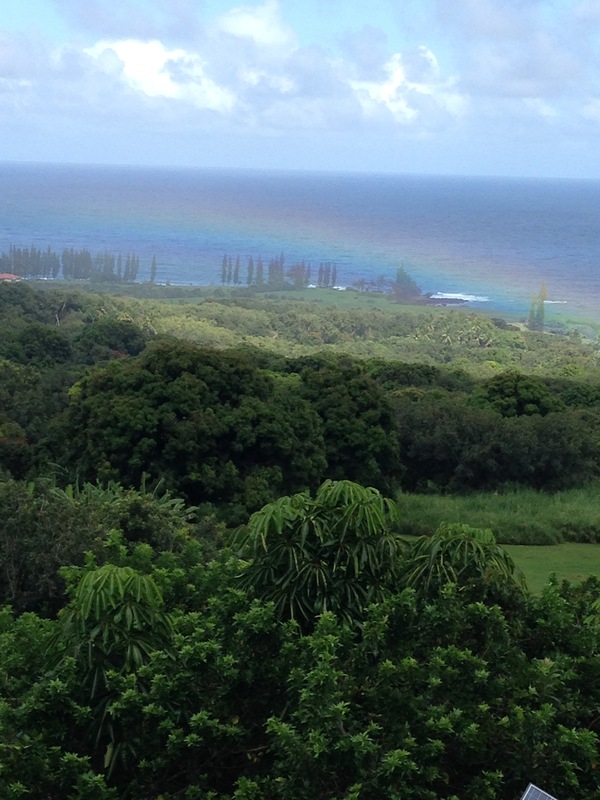 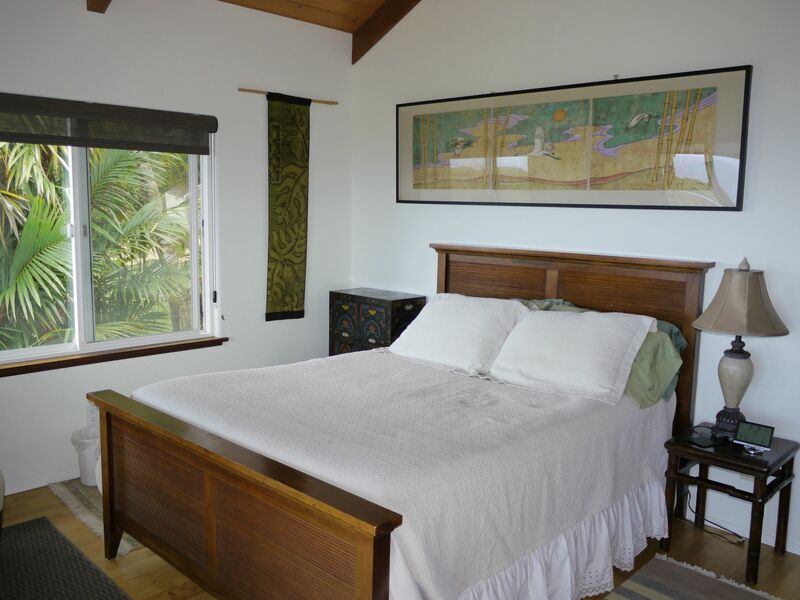 Secluded and tranquil, our two bedroom cottage is the perfect place to unwind and experience the magic of Hana. 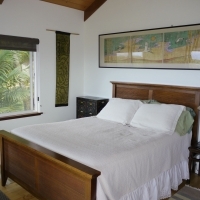 Located about 3 miles south of Hana town, our cottage is nestled on four and a half acres and is a great home base from which to explore the nature and beauty of the remote side of Maui. 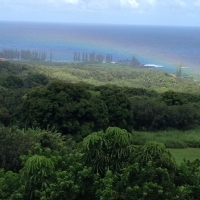 Our property is entirely powered by solar energy.